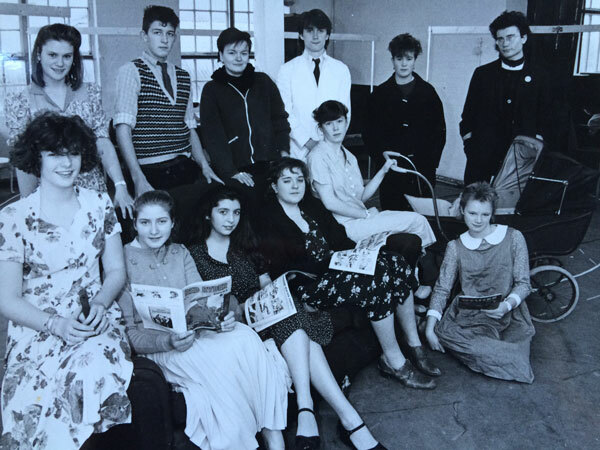 with Farnham Youth Theatre, about 1988. (I’m centre back). The production was Stephen Lowe’s Touched. They’re in 1940s costume. I’m in 1980s.